My original dream was to be an Air Force combat pilot, but now my dream job is to teach health care providers what we can do to help patients and the organization we work for (as well as ourselves) by giving them the knowledge they need to work effectively. 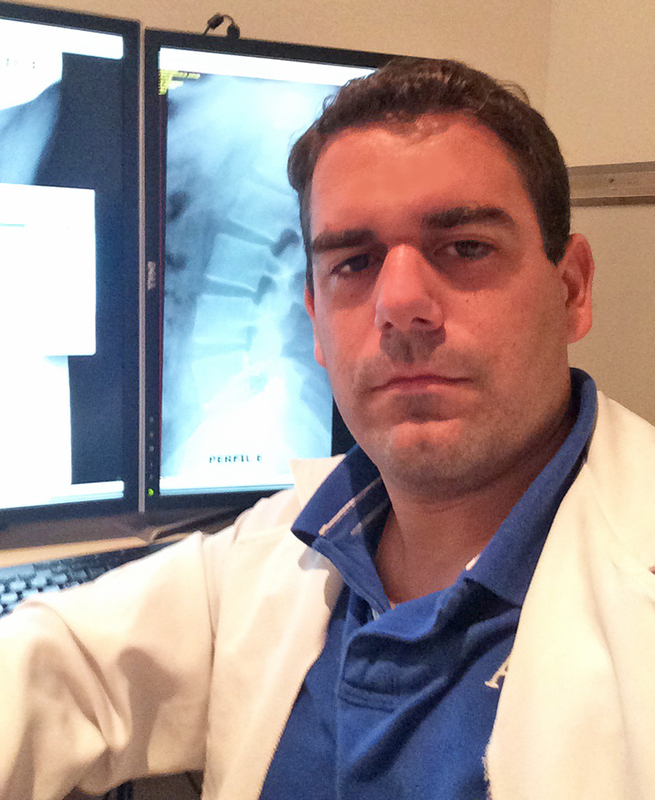 "Dr. Thiago Siervo is very enthusiastic about his profession as a physician and serving the health care sector so that everyone can have a great quality of life. As a student and graduate assistant, he always took time to learn the concepts and share his professional experience in the classroom. His hard work has paid off in big way since he is now pursuing a Ph.D. in health care ethics." "Point Park’s MBA classes opened my mind to many different options and career paths to consider. The classes and the professors gave me the knowledge necessary to discover and choose what to do with this degree and why. It would be unfair if I say some professors’ names here and by mistake forget one, so here is my THANK YOU so much to all of you for everything you have done for me during my MBA studies. I learned a lot from all of you." As a doctor and international student, what factors made you choose Point Park’s MBA program? When I was in Brazil I decided, “I’m going to get an MBA," and began looking into several MBA programs in the United States. I researched the courses offered, class times, locations, faculty, and of course, the price. As we know, there are several currencies in the world and the Brazilian currency is not one of the strongest. After doing further research, I discovered Point Park University's MBA with its concentration option in health systems management and it was exactly what I was looking for in a program. During my decision process, I contacted the International Student Services Office at Point Park and spoke with staff member Amanda Avampato several times on the phone. Her interpersonal skills and the way she talked with me helped me a lot in my decision to choose Point Park to pursue my MBA degree. Tell us about the health care work you did in Brazil. Back in Brazil, I worked as an emergency room and intensive care unit physician. I also worked on a rescue team (in Brazil, physicians are on ambulances to rescue severe patients at major car accidents, cardiac arrests, extremely dangerous areas and many other things). How have Point Park’s classes and faculty members impacted you? Point Park’s MBA classes opened my mind to many different options and career paths to consider. The classes and the professors gave me the knowledge necessary to discover and choose what to do with this degree and why. It would be unfair if I say some professors’ names here and by mistake forget one, so here is my THANK YOU so much to all of you for everything you have done for me during my MBA studies. I learned a lot from all of you. However, one specific person I'd like to recognize is Sally Polnyj, the best graduate support specialist and student advisor I’ve ever had in my life. She is so dedicated and will really help you as much as she can to take away all of your doubts and make your MBA journey smooth. What advice do you have for medical professionals considering an MBA degree? As medical professionals, we know that we do everything we can to help our patients and we are often their first line of help. If you plan to pursue an MBA degree concentrating in health systems management, don't forget your peers in the health care field. Give them the maximum amount of support you can, especially when they need it the most. Connect with Thiago Siervo, M.D.